SamuiBus.com | Book transfer from Nar Ton Pier in just a few minutes! Lomprayah High Speed Ferries is a famous enough company in Koh Samui and its been running the service for more than 13 years Its ferries shuttle between Koh Samui, Koh Phang, Koh-Tao, Chumporn, Donsak Pier. Our Company provides Transfer service from Lomprayah (Nar Ton Pier) to all areas of the island. Lomprayah High Speed Ferries is the first and the only one fast ferries operation in Thailand , giving you a journey that is all about speed, style and service. The company has 5 ferries which are “Pralarn” , “Namuang” ,”Maenam” , “Koh Prab” and “Thongsala“. They are the fastest sea crossing in The Gulf of Thailand. 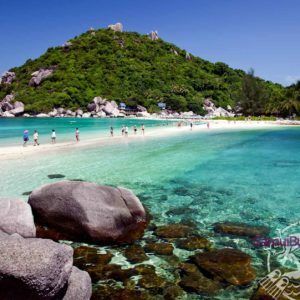 Get from the Nar Ton Pier to the hotel in Koh Samui and back will be so easy if you will think about it in advance. Just book Transfer service!